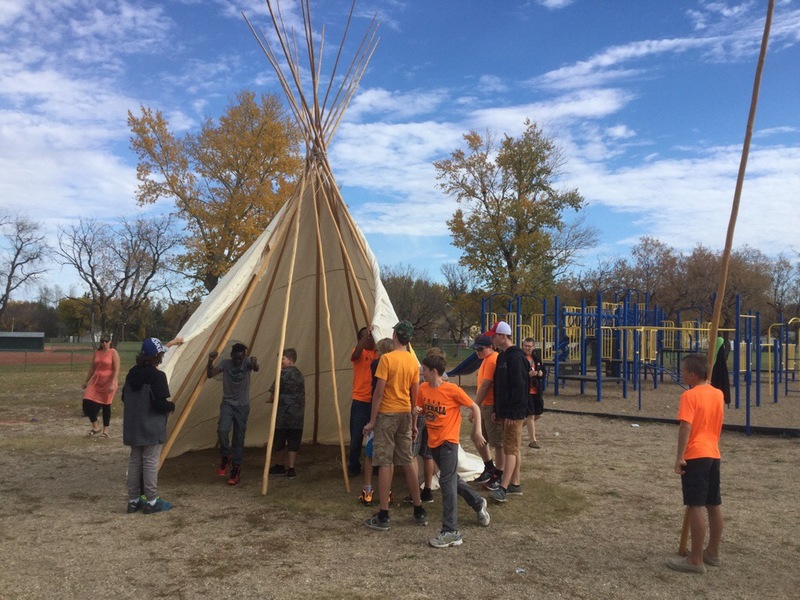 In recognition of the wrongs of the residential schools, our school participated in Orange Shirt Day. 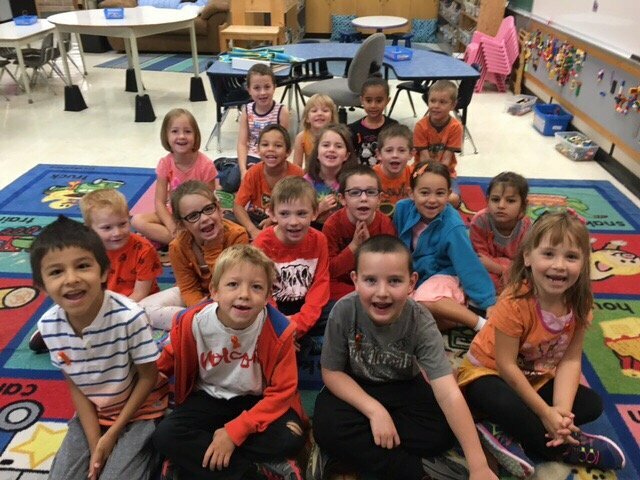 The colour orange was chosen because of one child’s experiences. 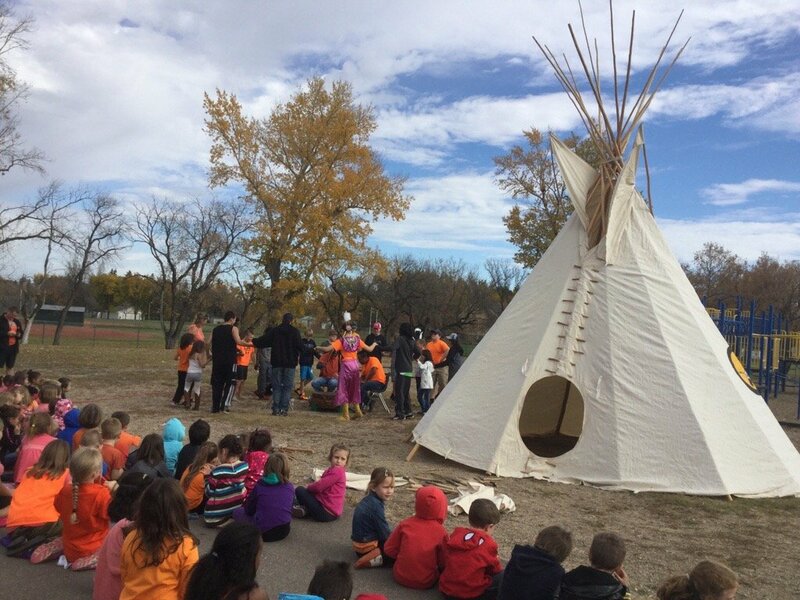 All of the students wore an orange ribbon and got to watch a tipi raising and some First Nations drummers and dancers. What is Orange Day? How long did it take you to build it? 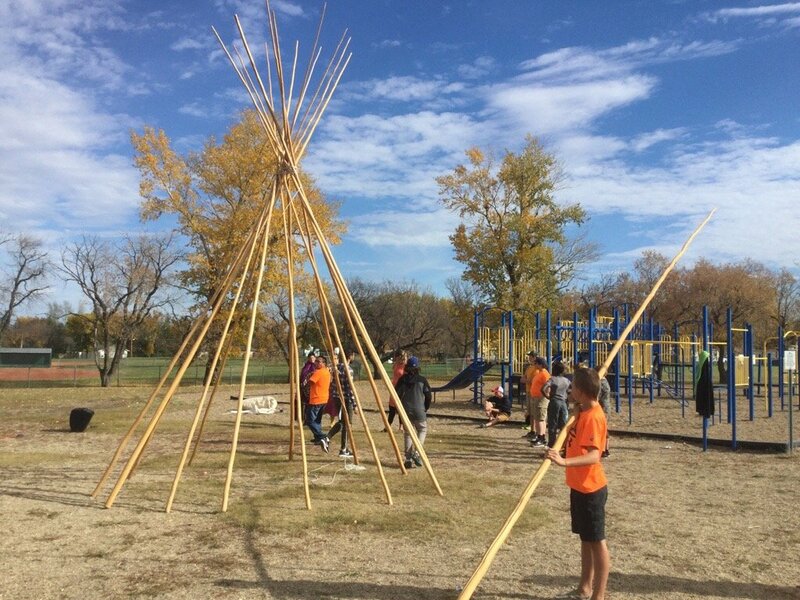 I wish I could build a big Teepee like that. How and where did you get the material to build it. The dances you made were very nice. Orange Day is a day when you wear orange to remember the kids who were taken away from their families to go to school. One girl had a new orange shirt from her gramma and it got taken away. 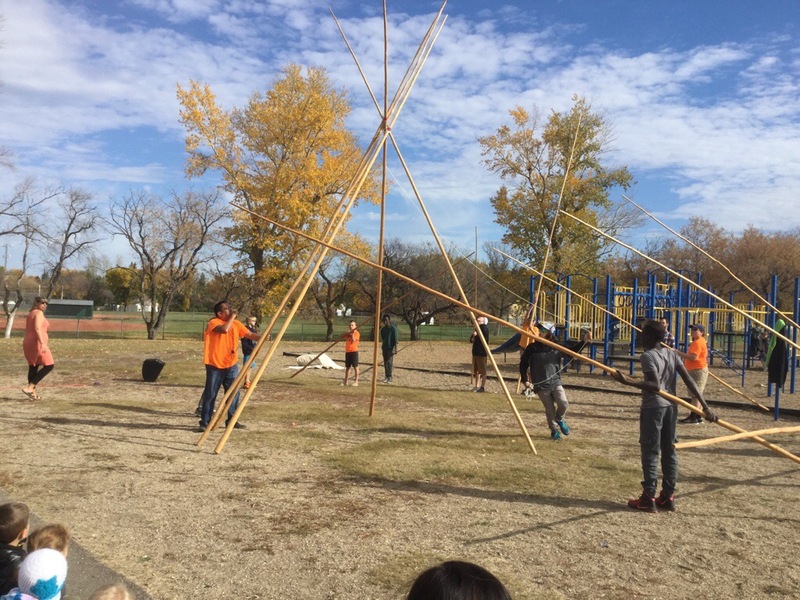 It took about an hour to build the tipi. It belongs to the school division.